= has been far too long on my Netgalley shelf. stopped to read the life of a couple of Orthodox saints. this month should be it! = #6 in a series I have not discovered yet. 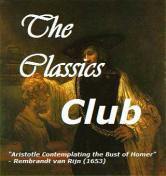 = these 2 titles are on my list for The Classics Club. BUT guess who’s the narrator? who I so much enjoyed in Louise Penny’s series. This entry was posted in Audiobooks, Classics, Fiction, foreign, Historical novels, Mysteries, Non-Fiction, Now reading, Orthodoxy, Religion, TBR, translation and tagged Ann Morgan, Betty Smith, Charles Finch, Claude Izner, Gaston Leroux by WordsAndPeace. Bookmark the permalink.